Take a trip outside Boston for some classic fall fun. By Renae Reints·	 9/22/2017, 12:14 p.m. Looking to get lost this fall? Go for a drive, see Massachusetts’s beautiful fall foliage, and check out the best corn mazes around the state this September and October. Many farms have activities for every age, and some have flashlight mazes for those spooky Halloween nights. 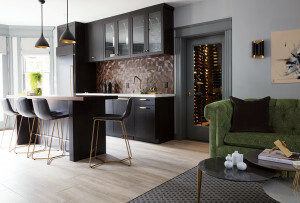 Locations are listed in order of distance from downtown Boston, and travel times are rough estimates allowing for traffic and getting a little lost driving the back roads of Massachusetts. 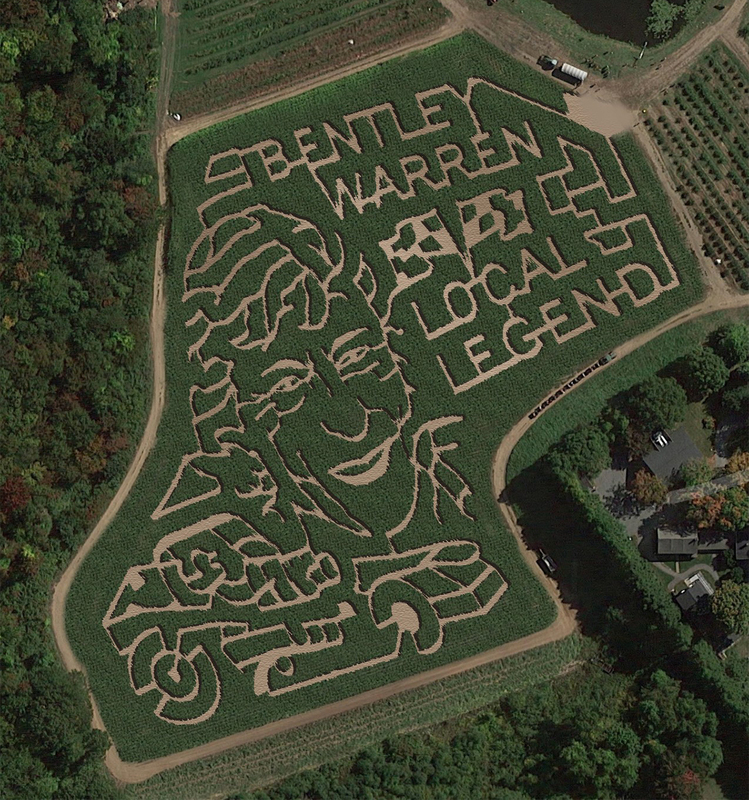 This year the corn maze at Connors Farm is a tribute to local race car legend Bentley Warren. From the sky, the 7-acre field draws out his image and spell Warren’s name. Looking to get in the Halloween mood? Connors Farm also offers Hysteria Danvers, a haunted farm and flashlight maze experience, every Friday and Saturday night in October (plus Sunday, October 8th and Halloween night). Other Attractions: pick-your-own, farm animals, flashlight nights, and kids attractions. 9 a.m.-6 p.m. daily, 20 Nixon Road, Framingham, Massachusetts, 508-877-3058, hansonsfarm.50webs.com. Visit Hanson’s Farm in Framingham for their corn maze, farm stand, and pick-your-own pumpkins and flowers. Every Friday and Saturday night in October you can get your thrills on their haunted hayride, open 7 p.m.-10 p.m.
Other Attractions: pick-your-own, pumpkin patch, and hayrides. 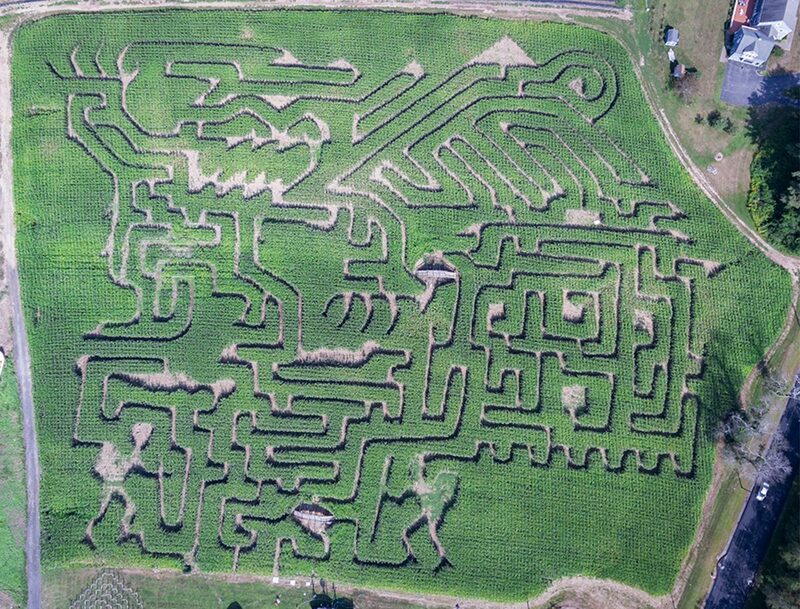 Honey Pot Hill Orchards boasts not one, but three different mazes. Constructed not of corn, but of green hedges, these paths are sure to have you wandering for a while. The Mini Monster Hedge Maze, open daily, is an exact replica of the “Hampton Court” maze in England. Kids not feeling sophisticated? The Tunnel Maze is available for kids ages 4 to 9, and its entry cost is covered by any other ticket purchase. Last, but not least, is the Big Green Monster Hedge Maze. Open only on the weekends from 11 a.m.-4 p.m., this construction is 1.5 miles long, contains 6 bridges, and hides a gazebo within its greenery. The Big Green Monster Hedge Maze costs $11.95/person, $7.95/child ages 3-15, and kids ages 2 and under are free. You can get lost in there for an hour, but your ticket covers the other mazes as well, so make a day of it! Other Attractions: pick-your-own, hayrides, and farm animals. 10 a.m.-6 p.m. daily, 259 Linebrook Road, Ipswich, Massachusetts, 978-238-9386, marinifarm.com. Managed under the same family for three generations, the Marini Farm has perfected the family farm experience. With a plentiful farm stand, a pirate ship play structure, bounce house, rope maze, and more, the 8 acre corn maze is only the start. Stations throughout the maze provide answers to a game sheet you’re given upon entering, so you can have fun while tracking your progress through the field. 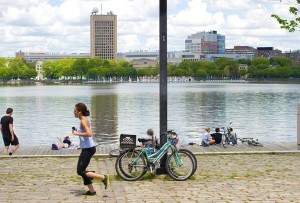 You can also test your directional skills on their flashlight nights, running 6 p.m.-10:30 p.m. on Fridays and Saturdays. For the kids, there’s a one acre, 20-minute mini-maze open daily. Other Attractions: pumpkin patch, hayrides, farm animals, flashlight nights, in-maze puzzles, and kids attractions. 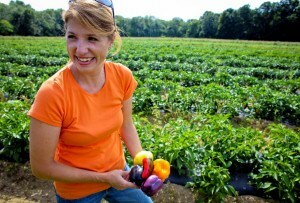 10 a.m.-6 p.m. Saturday & Sunday, 175 East Center St., West Bridgewater, Massachusetts, 781-293-6144, ccreadingfarm.com. Starting September 23, the C&C Reading Farm is ready to entertain all your fall needs. From the giant slide to the pumpkin patch, with a train in-between, there’s something for everyone. Their 3+ acre corn maze is space exploration-themed this year, with fun facts posted around the field. A smaller maze is available for the kids. Other Attractions: pick-your-own, pumpkin patch, hayrides, flashlight nights, in-maze puzzles, and kids attractions. 12 p.m.-5 p.m. Saturday & Sunday, 789 East St., Mansfield, Massachusetts, 508-337-6473, flintfarmstand.com. Keeping in the farm stand spirit, this year’s maze at Flint Farm reads “Buy fresh, Buy local” from the sky. Also, explore their farm stand or take a hayride through the fields. Keep in mind, the maze is cash only! Other Attractions: pumpkin patch and hayrides. 10 a.m.-6 p.m. Friday-Sunday, 139 Hemlock Lane, Halifax, Massachusetts, 781-293-6792, nessrallafarm.com. Nessralla has it all, including a farm stand, bouncy house, pony rides, zipline, and more. Pick some pumpkins, get your face painted, and get lost in their 15-acre corn maze. This year’s design is a familiar cartoon rabbit: Bugs Bunny. Starting October 13, you can adventure the maze with a flashlight on Friday and Saturday nights between 7 p.m. and 10 p.m.
Other Attractions: pick-your-own, pumpkin patch, hayrides, farm animals, flashlight nights, and kids attractions. 10 a.m.-5 p.m. Saturday & Sunday, 279 West Berlin Road, Bolton, Massachusetts, 978-779-6293, schartnerfarm.com. Columbus Day Weekend Hours: Saturday-Monday 10 a.m.-5 p.m. Since 1902, the Schartner family has been running Schartner Farms, and they still know how to make it fun for the whole family. Get lost in the corn maze, then take a hayride to the pumpkin patch or visit the farm animals. Other Attractions: pick-your-own, pumpkin patch, hayrides, farm animals, and flashlight nights. 10 a.m.-9 p.m. Saturday, 10 a.m.-5 p.m. Sunday, 791 East Broadway, Haverhill, Massachusetts, 978-807-3214, kimballfarmhaverhill.net. 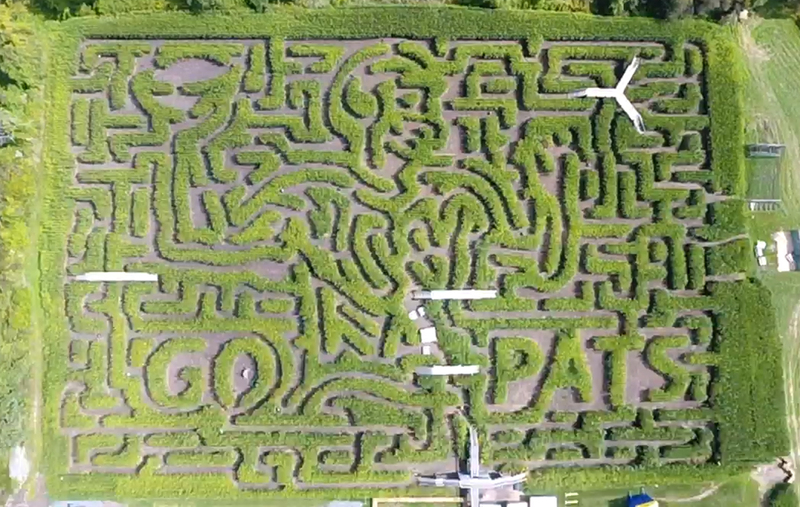 The Kimball Farm is showing their New England spirit with their corn maze this year, which reads “We <3 the Patriots” from the sky. Get lost in their maze, ride a pony, or go down the giant slide this fall. Flashlight nights are available on Saturday nights. Other Attractions: hayrides, farm animals, flashlight nights, and kids attractions. 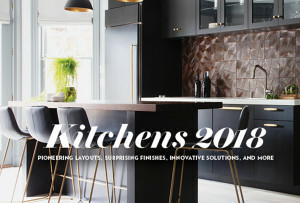 9 a.m.-6 p.m. Saturday & Sunday, 200 Center St., Plympton, Massachusetts, 781-585-1522, sauchukfarm.com/. Columbus Day Weekend Hours: Friday 1-6 p.m., Saturday & Sunday 9 a.m.-6 p.m., Monday 9 a.m.-6 p.m.
With 100 acres of lush produce, Sauchuk Farm sells hand-picked goods straight to the consumer via their farm stand. Their cornfields become two different mazes for your entertainment this fall, one for those willing to get lost for an hour, and another for the kiddos that takes about 10 minutes. And that main one honors the man of the season, Tom Brady. There are plenty of games around as well—check out their cow train or the corn cannon for a unique thrill. Other Attractions: pick-your-own, pumpkin patch, hayrides, and kids attractions. 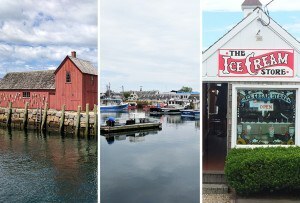 , Whitinsville, Massachusetts, 508-234-2022, westendcreamery.com. 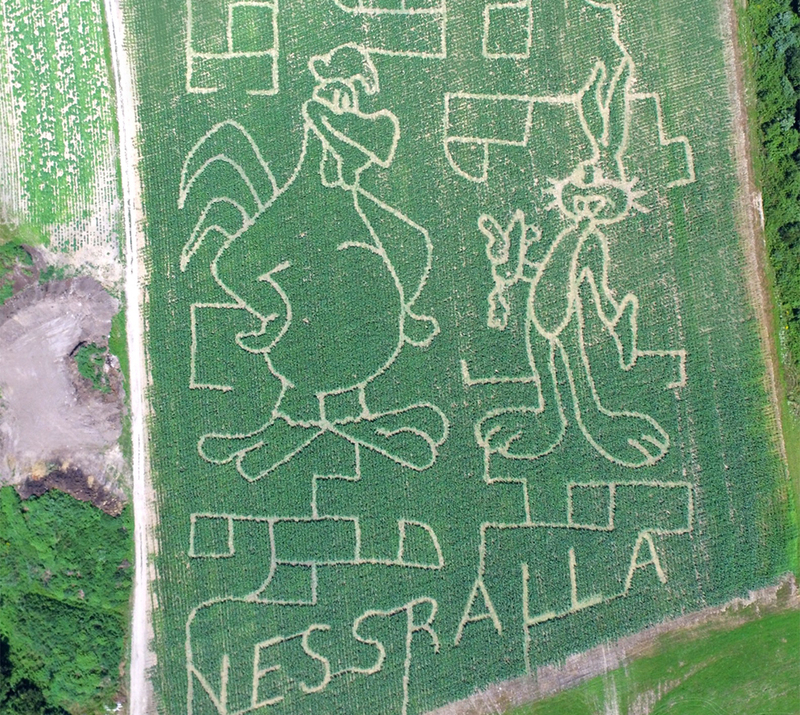 While they’re known for their homemade ice cream, West End Creamery also has a barnyard jump, mini golf, and yet another fantastic corn maze shaped like Tom Brady, with flashlight nights every Friday. Now you can literally get lost in his eyes. Other Attractions: pick-your-own, pumpkin patch, hayrides, flashlight nights, and kids attractions. 4:30 p.m.-9 p.m. Fridays, 10 a.m.-10 p.m. Saturdays, 10 a.m.-7 p.m. Sundays, 142 Redstone Hill, Sterling, Massachusetts, 978-422-8888, davismegamaze.com. This year, Davis Farmland is throwing a full farm festival. They’ll have live music, beer, a zip line, pumpkins, games, and more. 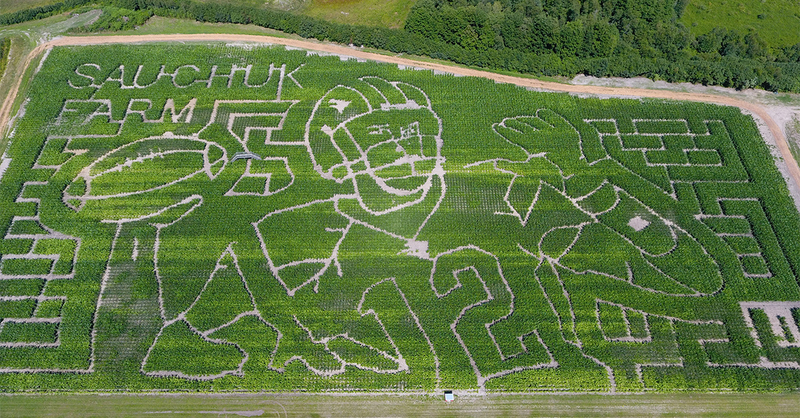 Of course, there will be a brilliant, 8-acre, Patriots-themed corn maze that can take up to three hours to complete. Games within the maze keep you on your toes while wandering, and an alternate laser tag corn maze provides an extra thrill for adventurers. Other Attractions: pumpkin patch, farm animals, in-maze puzzles, and kids attractions. 10 a.m.-5 p.m. Saturdays & Sundays, 23 South Main St., Sunderland, Massachusetts, 413-665-8331, mikesmaze.com. Head to the final frontier at Warner Farm this fall, where Mike’s Maze is space-themed to celebrate the 40th anniversary of the Voyager missions. 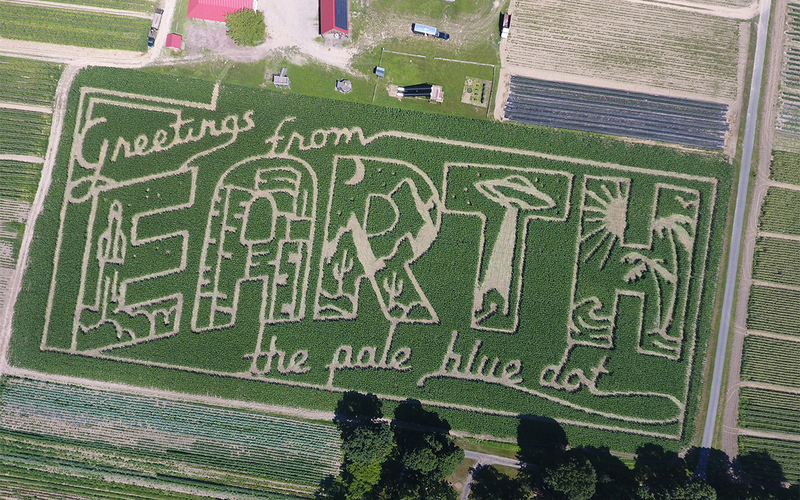 From the sky, the elaborate corn maze reads “Greetings from EARTH, the pale blue dot.” Maze-goers can adventure through galactic games and learn about the search for extraterrestrial life as they wander the 8-acre field. Other Attractions: pick-your-own, farm animals, in-maze puzzles, and kids attractions. 10 a.m.-5 p.m. Saturday & Sunday, 1299 Route 2 on the Mohawk Trail, Charlemont, Massachuetts, 413-404-5727, hickscornmaze.com. Have some fun with the whole family during the day—Hicks Family Farm has farm animals, mini golf, and a scavenger hunt within their daytime corn maze. Looking for a fright? Haunted weekends begin October 6. The corn maze will be open for additional hours for scary adventures: 7 p.m.-9 p.m. on Fridays and Saturdays only. Tickets for haunted nights are $8/adult and $5/child. Other Attractions: pumpkin patch, farm animals, flashlight nights, in-maze puzzles, and kids attractions.